Summer is in full swing at our house! Windows are opened right after we wake up, my sandals have replaced my tennis shoes by the door, our house projects are getting a bit behind since we’re enjoying outdoors more, and our grill is used more often than our oven. Up until this point though, our grilling adventures were pretty tame. 99% of what’s put on our grill falls under the meat or vegetables category. Boring! So we decided to step it up a notch. 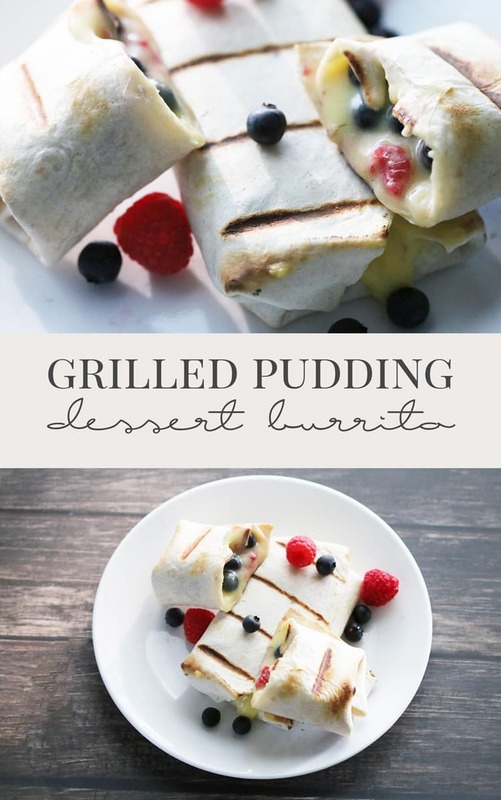 And when we were trying to get a bit more creative with the grill, we figured out something absolutely amazing: grilled dessert burritos. Truth be told, I was really intimidated by the idea of these because they were so different than anything we’d ever done. But I am SO happy and excited to report that these things were so simple. And so good. And I want to make them ALL. DAY. EVERY. DAY. We tried three different types at once (go big or go home, right?!) and every single one of them turned out. But if you’re looking for a fun dessert for the fourth of July or just a super tasty treat, this is the one. Seriously. 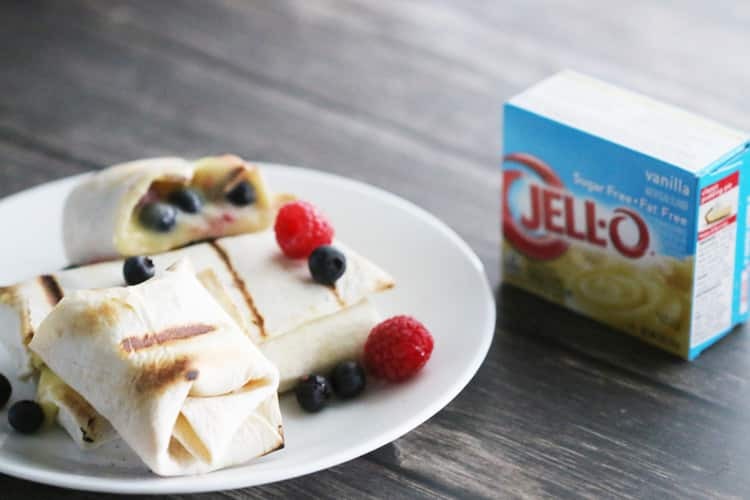 Look no further because this dessert burrito is so creamy delicious that you will never look at cheesecake the same again. I was so certain that the s’mores one would be my favorite, but the cheesecake won me over. While the cheesecake dessert burrito was my favorite, I still absolutely loved this burrito. Especially with the fresh fruit! One of the reasons this one is so great is the variety that you can do. There are SO many pudding options and so many fruits that you can add in! My next version of this that I’m excited to try is a Banana Cream Pudding one with fresh bananas. Yummmm! Make the pudding according to the directions. Let sit for 5 minutes. Remove 1/2 cup from the pudding and put in a bowl. The rest well be extra. Add in the fresh fruit to the 1/2 cup and mix thoroughly. Try other pudding flavors and mix with other fruits for a completely different taste! And the s’mores one that I was so certain would be my favorite. I have a deep love for everything s’mores, honestly. There is something about the ooey-gooey marshmallow goodness, mixed in with chocolate that makes my willpower non-existant. And this one did exactly just that, considering I ate a portion of a leftover s’mores dessert burrito while I was writing this post. Sorry, not sorry! I love the addition of the suisse mocha in here – it adds another level of flavor that makes this burrito irresistible! Combine 6 of the StackerMallows, the 4 SwirlMallows, the Maxwell House International Suisse Mocha Cafe and the butter in a microwave safe dish. Melt for 20 seconds or until easily whisked into a smooth mixture. Layer the rest of the ingredients in the following order: half the microwaved mixture, three StackerMallows, 3/4oz of chocolate, and three StackerMallows. Repeat for the other burrito. What’s great is that all of the ingredients can be bought at Walmart! A one stop shop for a delicious and quick dessert? So easy! 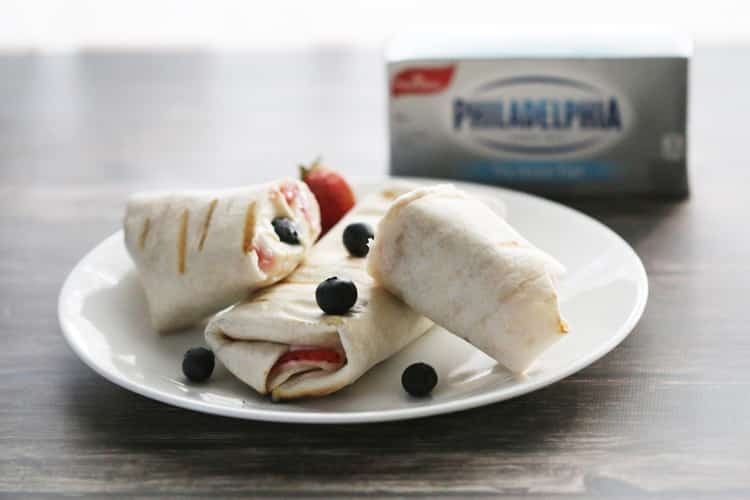 They’ve got Kraft products galore and their Marketside fruit is the perfect addition to the fruit filled dessert burritos. 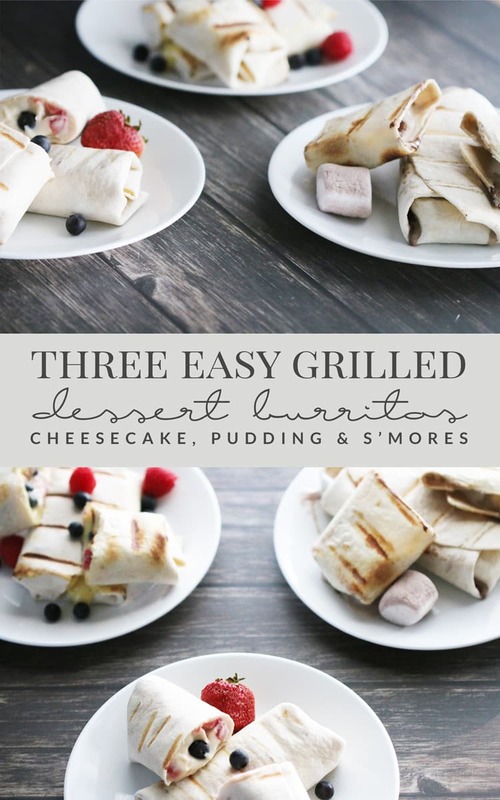 And if you’re looking for other ways to change up the s’mores burrito, they have SO. MANY. marshmallows! Seriously. 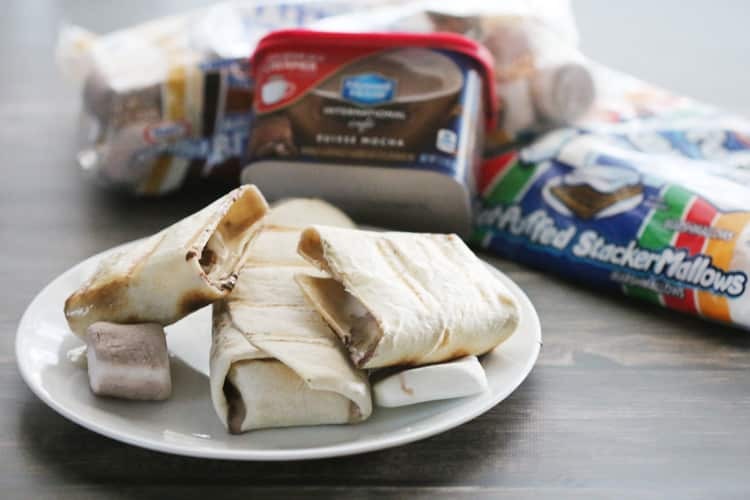 Tons of awesome flavors to make a different yet still delicious s’mores burrito. Need some more ideas for grilling this Summer? Check out the Fire Up The Grill Kraft Cookbook! I’d love to know: what are your favorite things to grill? Oh my goodness, Ashley! These all look SO delicious! 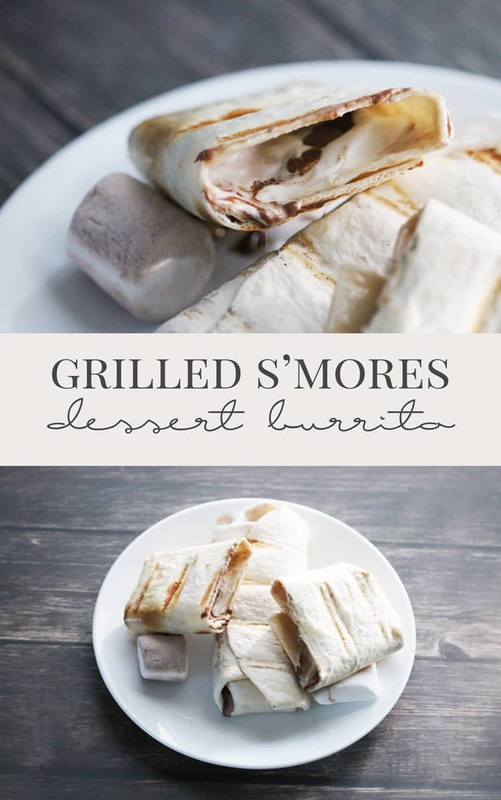 I’m all about those S’mores Dessert Burritos. I’ll definitely be trying them soon! OMG yes to allll of them but especially the smores one!! YUM! Okay, These serious sound amazing!! I want to make them all right now for a midnight snack. What a great idea! I’m not a big crust or pastry person so these would be perfect for me. I don’t know if this recipe could get anymore delicious!! It looks soooo incredibly good and I want to make some like, RIGHT NOW!! I am seriously drooling at the mouth. definitely making these for our next get together! Oh my these sound delish! I want at least one of each. Thanks for sharing on Snickerdoodle Sunday! These sound incredible. 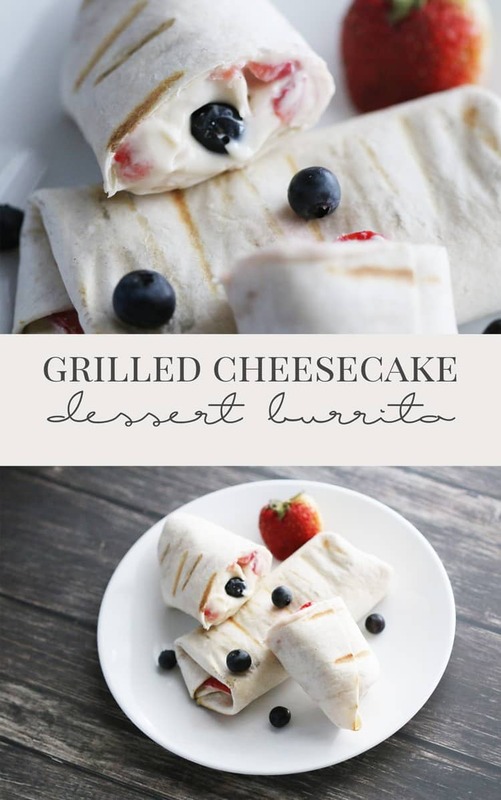 We always have tortillas on hand, but I never thought of using them for dessert! 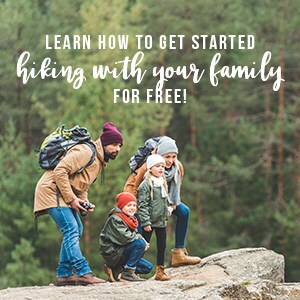 Thanks for linking up to Small Victories Sunday Link Up! These sound great, I have nominated you for a feature on Turn It Up Tuesday next week. Sounds kind of good!! Thanks for sharing at the What’s for Dinner party! I am looking forward to trying all of these. Thanks for sharing!